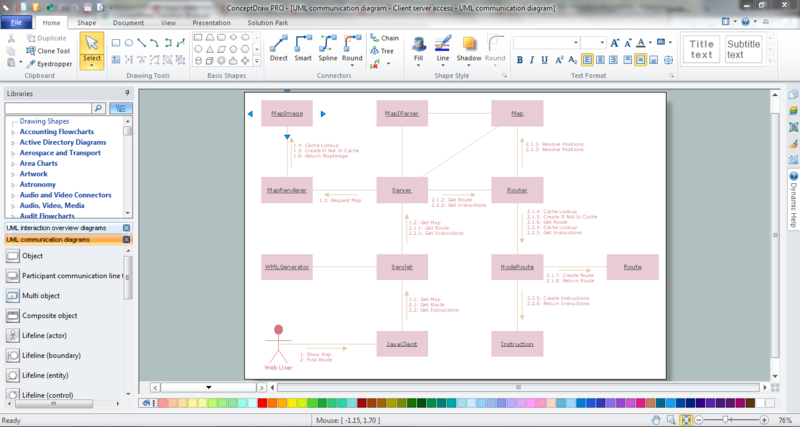 ConceptDraw DIAGRAM diagramming and vector drawing software extended with Rapid UML Solution from the Software Development Area is a powerful online diagram tool that will help you design any types of UML diagrams simply and fast. In addition to ConceptDraw DIAGRAM is offered one more useful online diagram tool - ConceptDraw STORE that lets you the possibility to navigate through solutions of ConceptDraw Solution Park, access libraries, templates and samples, and also manage downloads and updates. 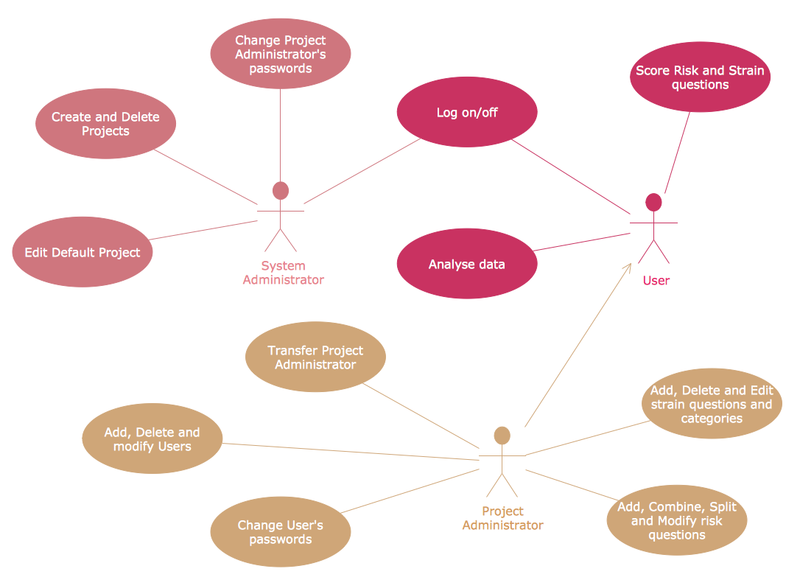 This example was created in ConceptDraw DIAGRAM using the vector objects from the UML Use Case library of Rapid UML Solution and shows the UML Use Case Diagram with actors, use cases and dependencies between them. An experienced user spent 10 minutes creating this sample using the online diagram tool. Use the Rapid UML solution to create your own UML diagrams of any type quick, easy and effective. All source documents are vector graphic documents. They are available for reviewing, modifying, or converting to a variety of formats (PDF file, MS PowerPoint, MS Visio, and many other graphic formats) from the ConceptDraw STORE. 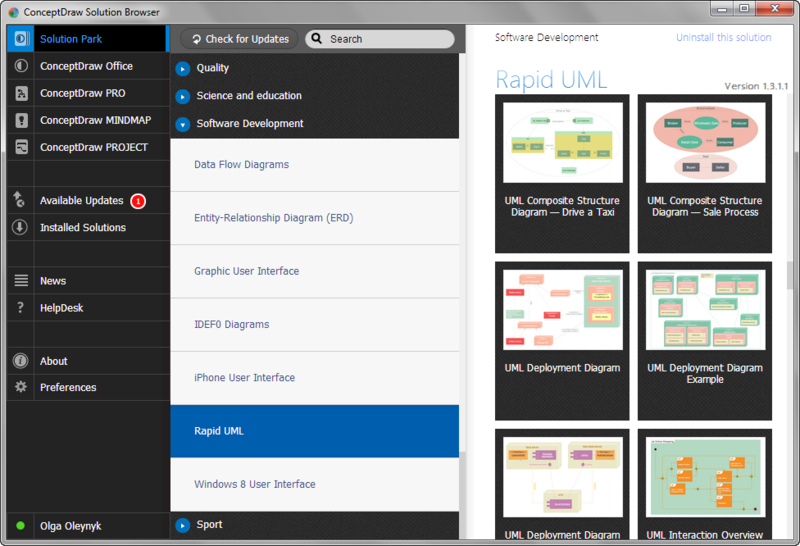 The Rapid UML Solution is available for all ConceptDraw DIAGRAM or later users.